Set in a small suburban town, Lucas (Mikkelsen) is a divorced daycare worker who is hoping to win custody of his estranged teenage son Marcus (Fogelstrom). Well-liked and easygoing, Lucas has lived in the town all his life and formed lifelong friendships with Theo (Bo Larsen) and Bruun (Lars Ranthe). Beloved by the children under his care, Lucas also has a special bond with Klara (Wedderkopp), the young daughter of Theo and his wife Agnes. When Klara kisses him on the lips one day, a shocked Lucas rebuffs her, telling her that only mommies and daddies should kiss in that way. Hurt and angry, the child tells the unprepared and incompetent head of the daycare Grethe (Wold) that she has seen things she shouldn’t have. This starts a modern-day witch hunt that targets Lucas and grows ugly fast, as Grethe’s unsubstantiated tales brand Lucas a monster potentially leading to his demise in more than one way. 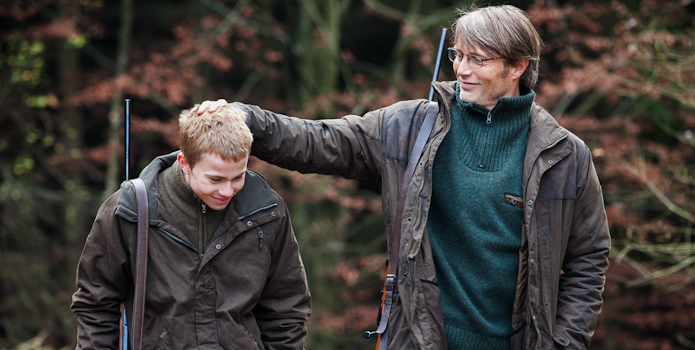 The Hunt is sure to be extremely divisive and controversial, as Vinterberg pulls no punches when demonizing certain characters, the way Lucas is demonized in the film. It’s easy to see why Mikkelsen won best actor at Cannes as his performance is impeccable here, infusing Lucas with a stoic strength in the face of all adversity. Young Wedderkopp does stunning work, especially considering her age. The small town setting where everyone knows each other’s business only serves to heighten the tension. 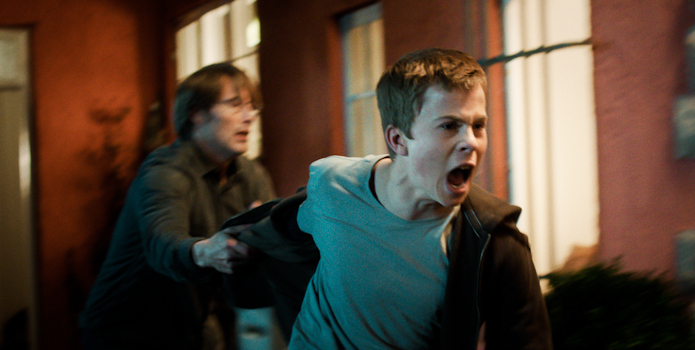 Unflinching and unyielding, the performances alone should put this atop your TIFF list. Suffering greatly from a static camera, the parts where the film and director soar are during the fantastic CGI re-enactments. Using stop-motion animation techniques and vintage photos combined together through GCI, the re-enactments are brilliantly staged and executed. And there is a fantastic amount of knowledge on counter-terrorism guerrilla techniques and the history of the Shin Bet. But ultimately the film feels much longer than it is due to its extremely dry tone and straightforward point and shoot technique. Despite the educational opportunities, I cannot recommend the Gatekeepers. 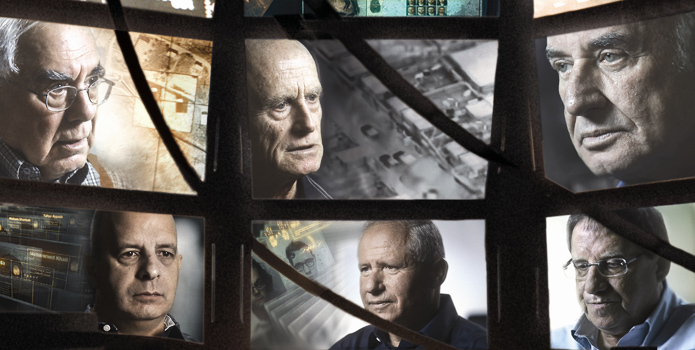 It will especially be troublesome during a four or five film day at TIFF, but if you love the history channel, no-frills style, talking head documentaries, or you want an educational nap, then the Gatekeepers may be for you.